It’s no secret that police departments around the country are deploying automated license plate readers to build massive databases to identify the location of vehicles. But one company behind this Orwellian tracking system is determined to stay out of the news. How determined? Vigilant Solutions, founded in 2009, claims to have the nation’s largest repository of license-plate images with nearly 2 billion records stored in its National Vehicle Location Service (NVLS). Despite the enormous implications of the database for the public, any law enforcement agency that signs up for the service is sworn to a vow of silence by the company’s terms of service. Vigilant is clear about the reason for the secrecy: it’s to prevent customers from “cooperating” with media and calling attention to its database. That database is used by law enforcement and others to track stolen cars or vehicles used in crimes, as well as to locate illegal immigrants, kidnapping victims and others — though the vast majority of license plates stored belong to ordinary drivers who aren’t suspected of a crime. 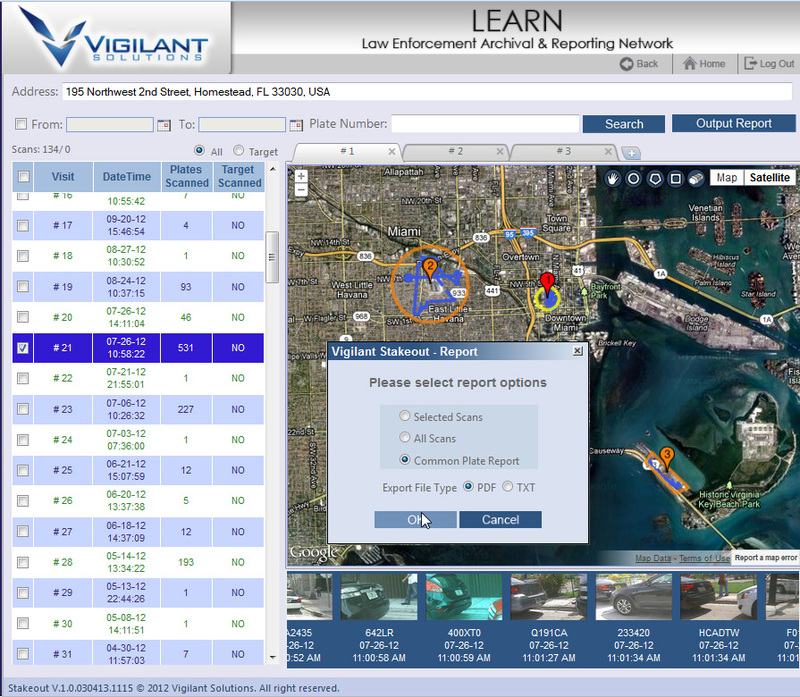 LEARN stands for Law Enforcement Archival and Reporting Network and is Vigilant’s online portal where license plate data and images are aggregated and analyzed for law enforcement to access. “LEARN provides agencies with an easy way to manage users and vehicle hotlists, query historical license plate reader (LPR) data and used [sic] advanced analytics for enhanced investigations,” the company’s web site says. 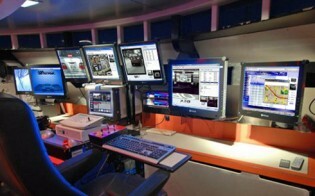 Vigilant’s prohibition against talking about its system recalls a similar, even more restrictive prohibition, by the Harris Corporation, whose non-disclosure agreement with law enforcement agencies prohibits them from disclosing to the media or even other government bodies their use of a cell-phone spy tool that Harris makes, known as a stingray. The Harris prohibition has resulted in law enforcement agencies using the stingrays without obtaining a court warrant, because the agencies have interpreted the contract to mean they cannot even tell a judge about their intent to use the devices. But it appears that Vigilant’s prohibition is just an attempt to control the company’s image and prevent anyone from talking about its database other than Vigilant. A Vigilant official was quoted in a recent Washington Post story about license plate databases. In the story, the Post reported on a proposal by the U.S. Immigration and Customs Enforcement agency to contract with a private company to produce and manage a national license-plate tracking system containing data collected from every license plate scanned by plate readers around the country. The database would aggregate license plate data captured by readers owned by law ­enforcement agencies, border-crossing cameras and toll booths, as well as by commercial repo-men, who are one of the primary creators and users of license plate images. The latter use vehicles equipped with license plate recognition systems to trawl through streets and parking lots to grab images of plates and cars. Civil liberties groups criticized the proposal, however, since it would allow authorities to conduct bulk surveillance against millions of drivers and track their location and movement. DHS subsequently withdrew the proposal. Despite DHS’s change in plans, however, license plate databases like Vigilant’s continue to exist and thrive. Though Vigilant would prefer you not talk about it.